Team Greg Simpson - Ziyen Inc.
Greg Simpson joins the company as Head of Business Development to setup the Ziyen UK Software Division based in Aberdeen, Scotland. Greg is responsible for developing and implementing a comprehensive internal and external sales and marketing operational plan with a goal to increase revenues and profits. 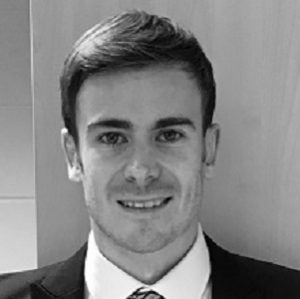 Greg has over 5 years’ experience working with a leading UK e-procurement company, assisting to develop and sell their business intelligence services and he already has a proven track record in setting up external Business Development teams, having developed a successful remote sales operation in the business district in London. Greg graduated from the University of Aberdeen in 2011 with a 1st Class Hons Degree covering a combination of Physiology and Psychology.